From being the gateway to the Land of Opportunity for millions of American families, landmarks such as the Empire State Building and Statue of Liberty, to having the best bagels and pizza in the known universe, you may be aware that New York has its share of claim to cultural fame. Perhaps you may have heard someone say that being a New Yorker is in their blood. Now a fashion start-up – formed right here in Rockland County – is taking that concept and making a brand out of it: “New York Is A Nationality.” New York Is a Nationality, also known as NYIAN, is putting “what being a New Yorker is all about” at the center of its product line and identity. 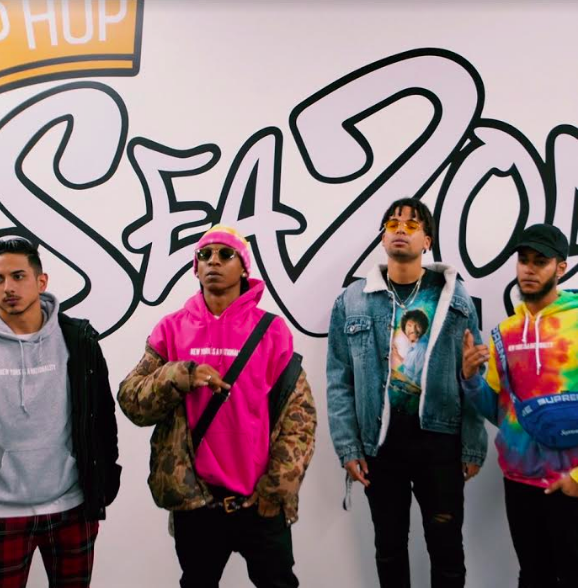 The four creators behind the brand are creative director Manuel Santana, manager Rayson Vazquez, artist Tevin Zamor, and operations manager JK Diaz. The fashion impresarios said they have been pleased with the demand their products have found thus far in the New York marketplace. It started with the hoodie, but four men were determined to expand their clothing brand with additional products for all ages, including such novelties as a pen and coffee mug available on their online store. Currently, the company has seven different products and will continue to fortify their brand as they keep expanding. There is discussion of opening a pop-up shop that can be brought to shopping centers and markets in Rockland County. Vazquez credited networking and making connections with others for helping their team move forward with the company. The company is not afraid to co-collaborate. Recently they worked on a concept with Jack Farber, a 14-year-old entrepreneur from New York City. NYIAN’s Cheddar Jack collection will include an exclusive tie-dye hoodie, which is scheduled to hit the marketplace in the near future. Although a majority of their customers are young adults, the creators hope to bring unity and appeal to every kind of New Yorker regardless of their age, color or creed. If you are interested in checking out their online store, you can visit www.nyisanationality.com.